I’m happy to announce I’ve been directing another project, this time a VR short film as a collaboration between Artella and Sketchfab. We’ve got a tight team, a budget for the artists and a goal to produce the short form start to finish in under 8 weeks, everyone working on it as a side project. It’s a huge undertaking, but so far everything has been completely on schedule. Our crew is split between members of both communities, spread across 8 countries and most of the Artella community members have come from our DUEL team. The working title is Petrified and you can see an overview of the project + updates on our Artella page. 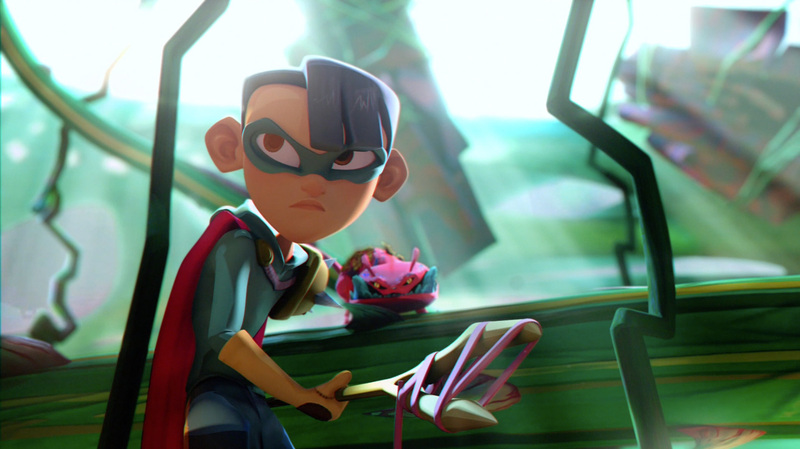 Character design by Carlos Quintero. This entry was posted in Work on March 26, 2017 by Tim. I recently heard about Double Fine’s documentary on the making of their Broken Age game. It’s quite long but I thought it gives one of the best insights into working in a creative field, being valuable for both people looking to enter into the games or animation industry and also experienced animators looking to develop their own projects. Here is a link to the documentary and below it some take aways that I thought might be of interest. I thoroughly enjoyed how much time the documentary spent on Tim’s idea process, it seems to be a topic that I don’t see covered all that much. The depth he goes to in brainstorming ideas was great to see, literally showing endless titles before landing on “Grim Fandango” as a name for his game for example and not being afraid to shoot out fairly random/bad ideas to get it. I was also intrigued about his process of free writing as a warm up before getting into generating ideas specifically for the project and also that he still brainstorms offline, with pen and paper in his office, library or cafe. 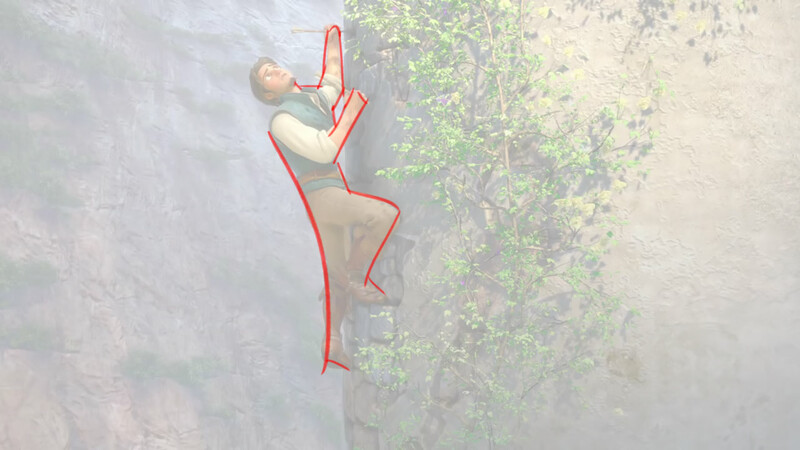 If you’re working on a shot or a short film, how in depth do you go before starting up Maya? One of the earlier episodes features an intern, who later in the production is employed to do some remote contract work. Tim states one of the reasons the intern became so valuable wasn’t so much because he did amazing work in the first pass, but because he was able to listen to the director notes and apply them well in the second pass. It’s a nice reminder that being a great animator isn’t just about talent or skills, but the ability to listen and achieve the director’s vision. 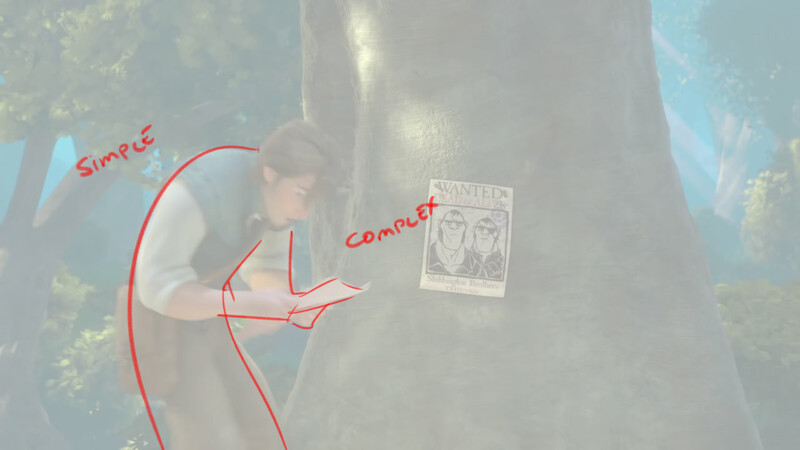 To delve deeper on that same point, there was another stage of production where an animator was screening for director approval, only to be told that the scene needed a complete reworking from the ground up. 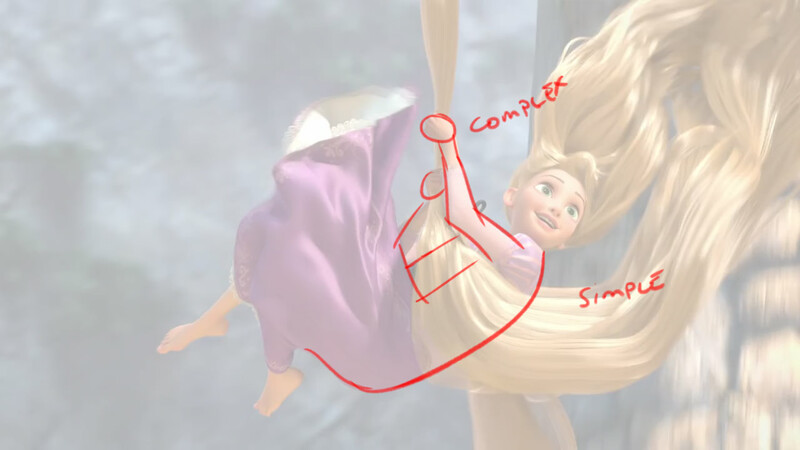 The animator later mentions to camera that the scene is 4,000 frames long, a huge amount of work to delete and redo. The thing to take note of is how he handles himself in that situation, there is a brief back and forth between himself, his lead and the director, but there was never a complaint or bitterness voiced. In a similar point to the above, being professional and easy to work with in my opinion is as important as how good your showreel is. One of my take aways from directing DUEL was the realisation that everything goes wrong. Everyday there’s a new problem to solve and the process of delivering a project is tackling those problems one by one until it’s finished. 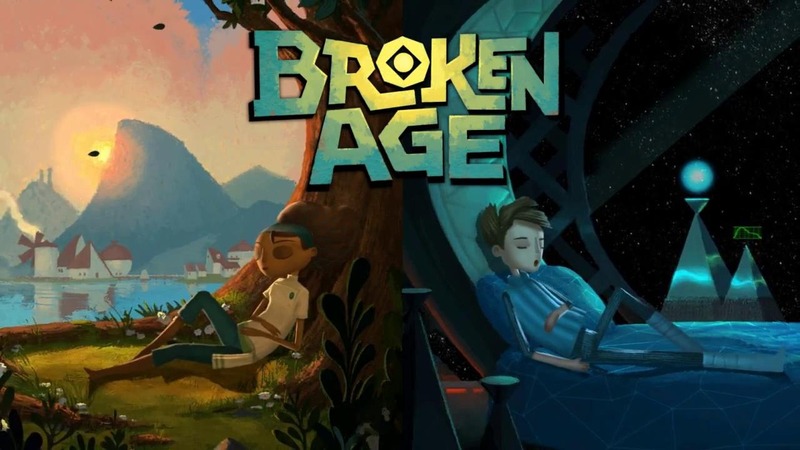 It seems the Broken Age project was particularly hard and it shows. There were mentions of people sleeping in the office, Tim mentions stress maybe helped lead to gallstones being removed, one programmer was forced off work for a week during the intense crunch and the audio engineer was close to tears when looking back on the project. We’re often given a pretty image of the industry on production documentaries, it was nice to see this one not being afraid to show that productions can physically and mentally affect those working on it. Throughout the documentary we get insight into seeing how the business side of a company affects a project, one of the reasons of starting the project in the first place was to avoid laying off members of staff. It is nice to think that we choose to work in a creative industry, but at the end of the day the work we do is largely influenced economics. One example being the decision to split the game into two acts in order to have enough funds to complete the project, but it also later becomes depressingly clear when the studio does indeed go through lay offs due to a project cancellation. Just how dire the financial positions of some studios can become is something that few talk about while studying. One moment I particularly liked in the documentary was when the trailer was screened for the first time. The smiles on the crew’s face as it played on a big screen in an industry event is a great feeling and I think the film makers captured that well. I thought the documentary also captured the strange feeling of releasing a project out to the public. There was a lot of reading comments on forums, watching analytics and generally.. just sitting in front of a computer. Premiere screenings are a great experience, but after that, the feeling of releasing a huge project can be somewhat anti-climactic. The amount of effort vs instant gratification is severely mismatched and the cliche of “enjoy the process” starts to hold a lot more meaning. They were just some moments that stood out to me, hopefully you can also enjoy and find your own takeaways from the documentary. 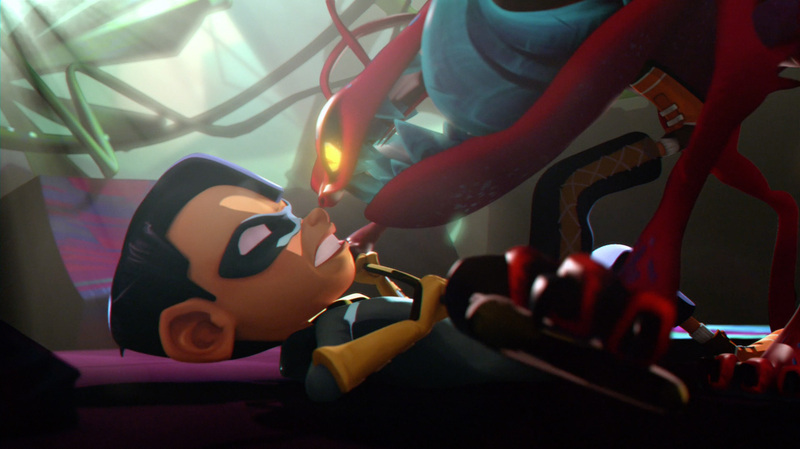 Kudos to the Double Fine crew for being so open about the production process. This entry was posted in Uncategorized on December 18, 2016 by Tim. Proud to finally share our short film DUEL. It marked my first time directing, an amazing experience working with 46 artists around the world. 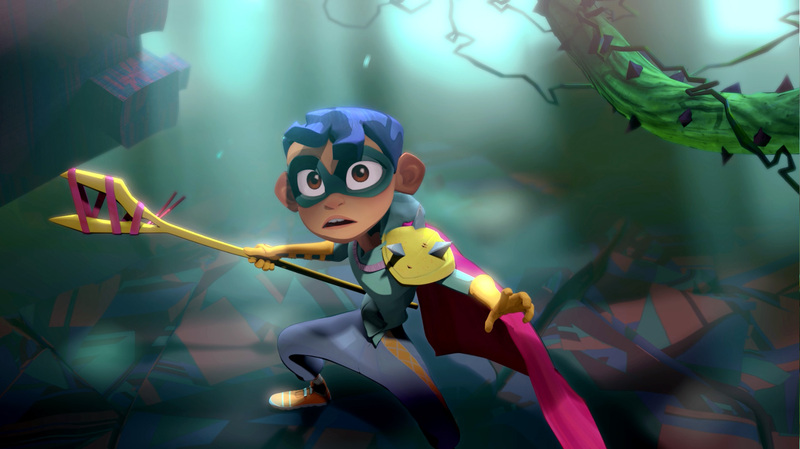 The short premiered at the CTN Animation Expo as its opening animation, followed up by a fun panel talk and a Cartoon Brew exclusive online release. The level of support and enthusiasm my the short was inspiring, thank you to all those involved. We’ll be doing an online Q&A on Wednesday December 14th, 9pm Pacific Time. Come and say hello! This entry was posted in Uncategorized on December 6, 2016 by Tim. 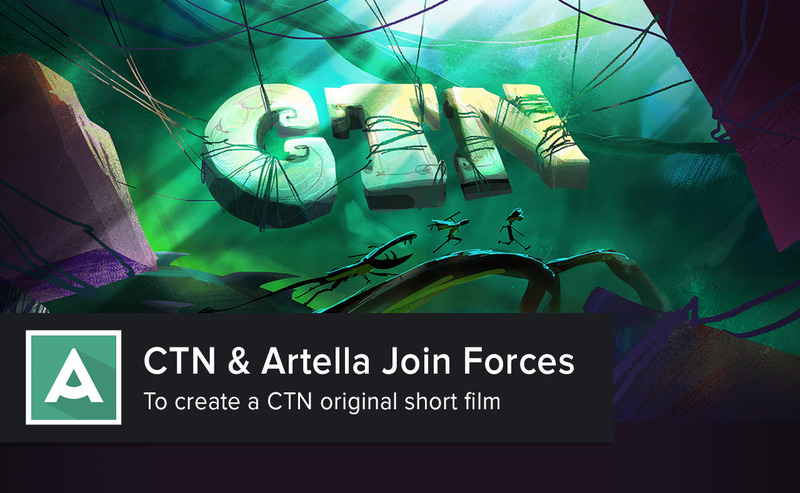 It was announced this week that the short film I’m directing will be the show opener for CTN, followed by a panel discussion about the making of. We’re currently pushing hard to get things done, but will post more about my thoughts on film making, directing and online collaboration once it’s done. Looking forward to posting more frequently again on this blog. This entry was posted in Uncategorized on October 1, 2016 by Tim. A while ago I posted about Master Studies. It’s something I still continue to do and usually upload them to my Twitter account. 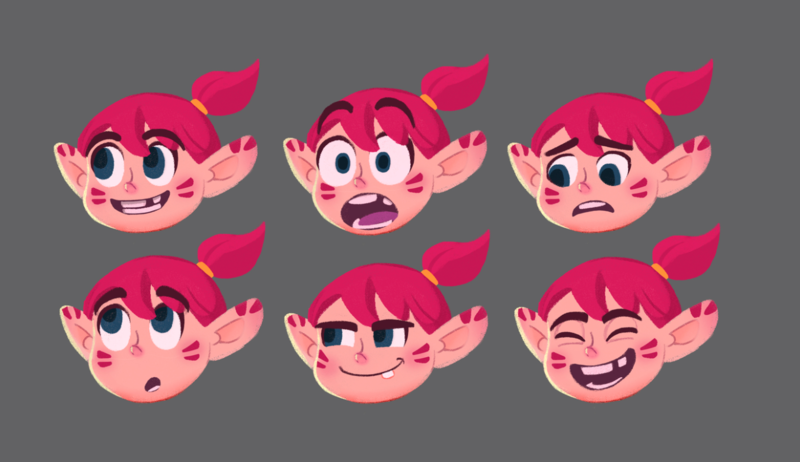 I thought I would do a follow up post since I’ve made some changes to my studies but also would like to address the most common question, “how are you doing the animated studies?“. In my previous post I mentioned I liked taking time to focus on detail. After a while you start to become more comfortable with your ability and found actually having a time limit helped me get through more and focus on the main shapes/ideas. Previously I would easily spend a few minutes on each sketch, now I have it down to somewhere between 30 and 60 seconds depending on my mood. 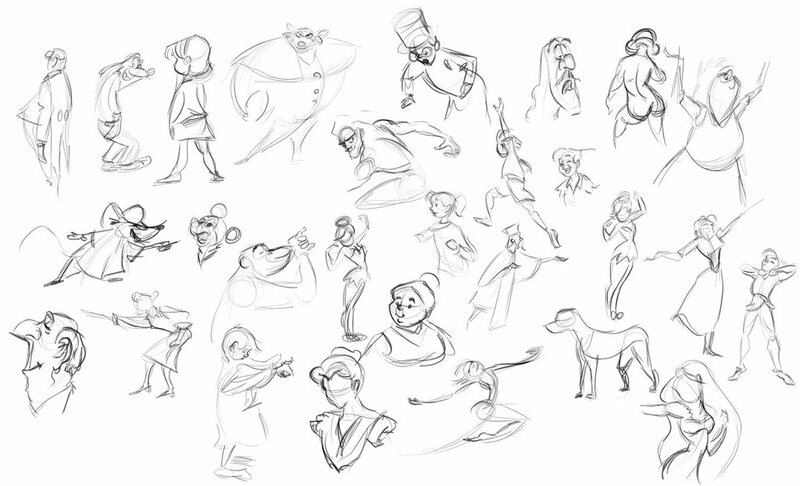 A mix of 30 and 60 second studies. 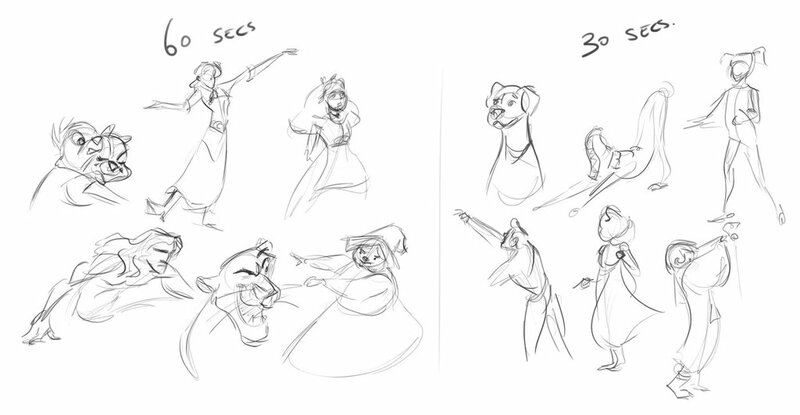 I then started to apply that time limit approach to animation studies. Here is about 90 seconds per frame. And here going down to 30 seconds per frame. I feel I got as much out of those as doing something more detailed, without time constraints. 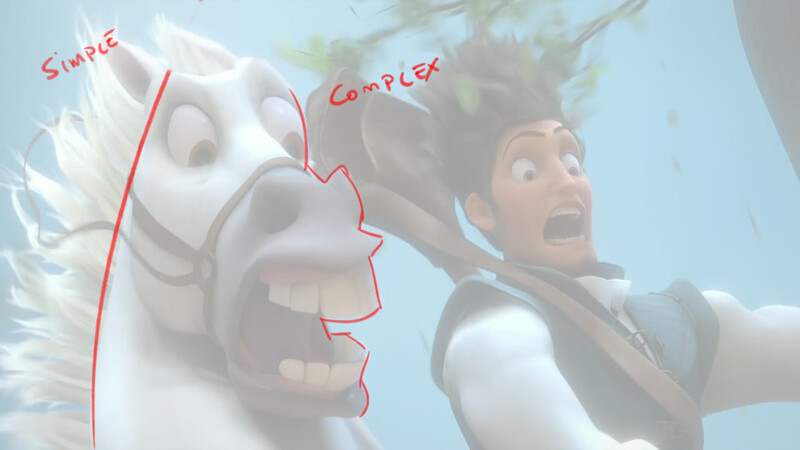 Actually doing the animated studies. I simply import a quicktime or gif into Photoshop and use the Animation Timeline to draw the different frames. 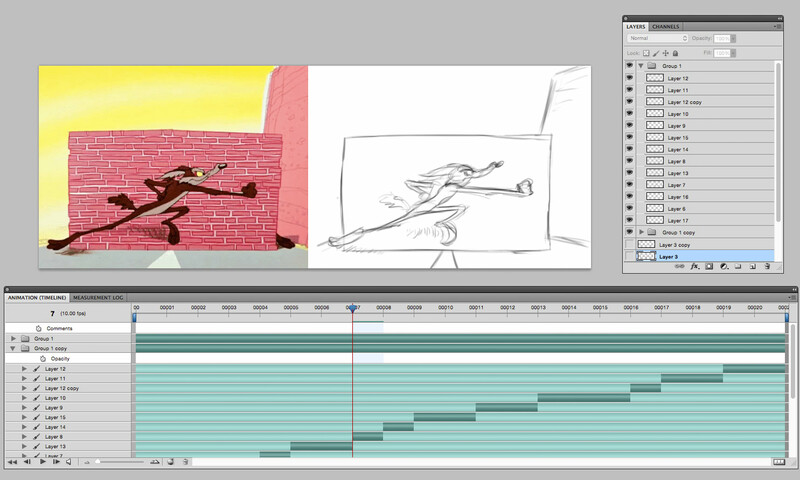 The animation timeline isn’t exactly the most user friendly. To make things easier creating Actions can help by automating steps. F1 will set the start point of a frame. F2 will set the end point of a frame. F3 will create a new frame starting at the current position of the timeline marker. If you need more information about that, check out Alex Grigg’s video explaining how he animates in Photoshop. – on harder studies I will use a grid. 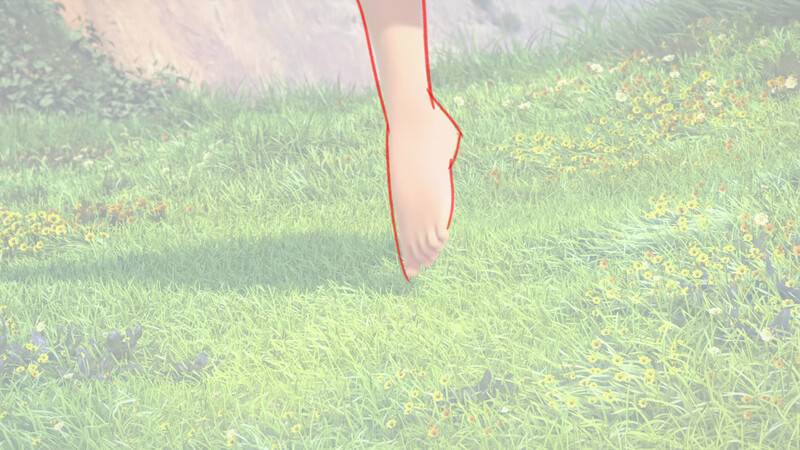 The problem I found with a grid is you start paying attention to detail again rather than the overall shape/pose. If you do go that route, the bigger the grid the better. One limitation of all these studies is that I’m copying what’s in front of me and not necessarily applying what I’ve been getting from each study. As a next step I’ve started doing memory sketching. First copying the pose and then trying to redraw it simply from memory. By doing so it’s easier to see where I can still be pushing poses, shapes, etc. 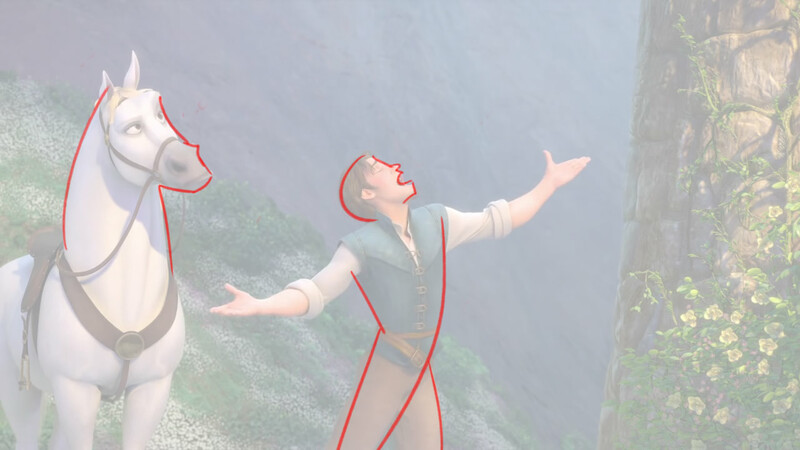 The other limitation I’m seeing is that by doing the animation test next to the original I’m not paying much attention to timing. That’s something I’m yet to figure out a good answer to, will hopefully have more to say on that next time! This entry was posted in Animation tips on March 5, 2016 by Tim. 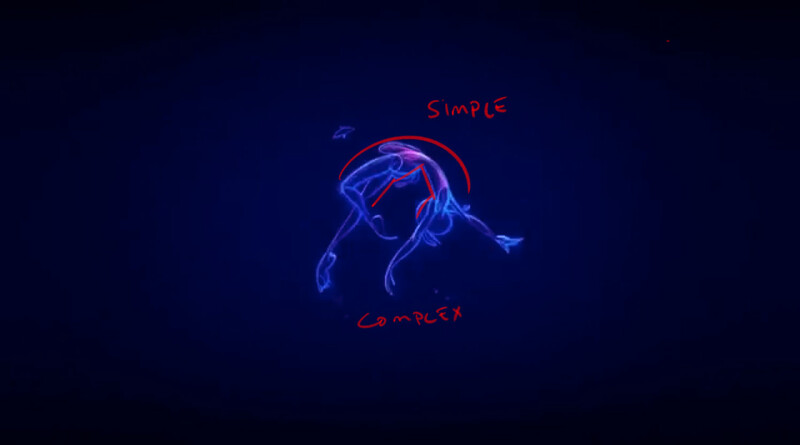 In drawing there is a principle known as “Straights vs Curves” which I think ties strongly into what I like to think as, “Simplicity vs Complexity”. The contrast of simple and complex lines/shapes helps to create appeal in a pose and can also often help to lead the eye to points of interest, usually the complex area of the drawing. Griz and Norm visually explain the idea on their blog here and here as does Rad Sechrist here. 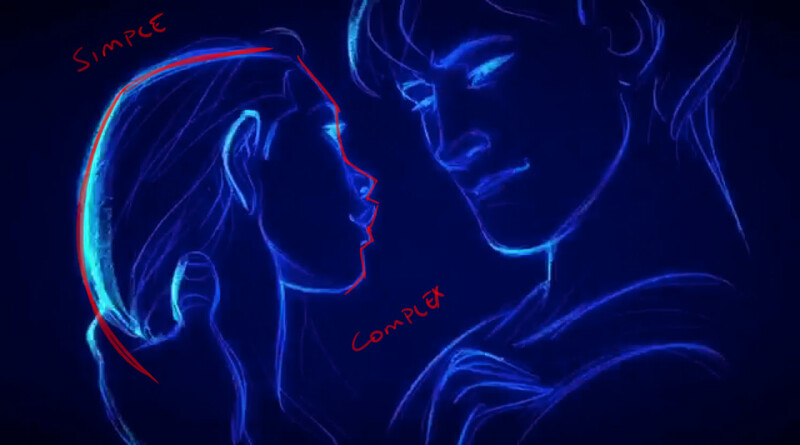 While watching Glen Keane’s Duet, it was easy to spot this idea in action. I find the principle is easier to apply when drawing than working in CG, while drawing you are much more aware of the use of your lines and negative space than when posing a 3D rig. 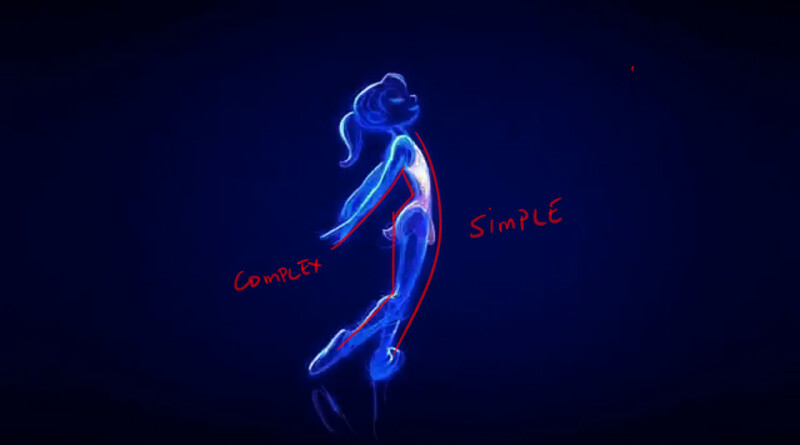 So out of interest I went through the Tangled Teaser (animation directed by Glen Keane) to pick out points where this idea of Simplicity/Complexity have been applied with CG rigs. This entry was posted in Animation tips on December 24, 2015 by Tim. 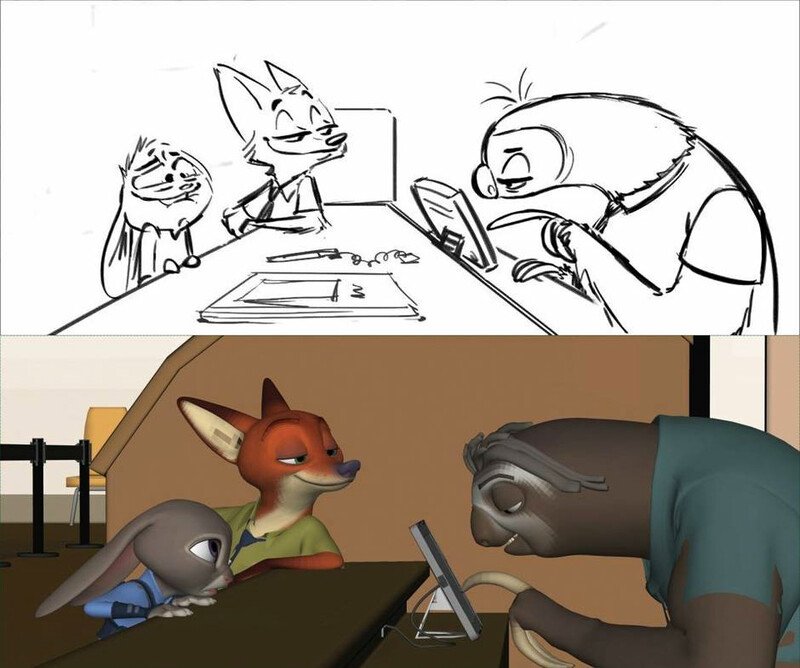 The above 2 pictures popped up on my Facebook feed today, and thought they were a good example of something I’ve noticed having made the transition from Animation Mentor to the industry. 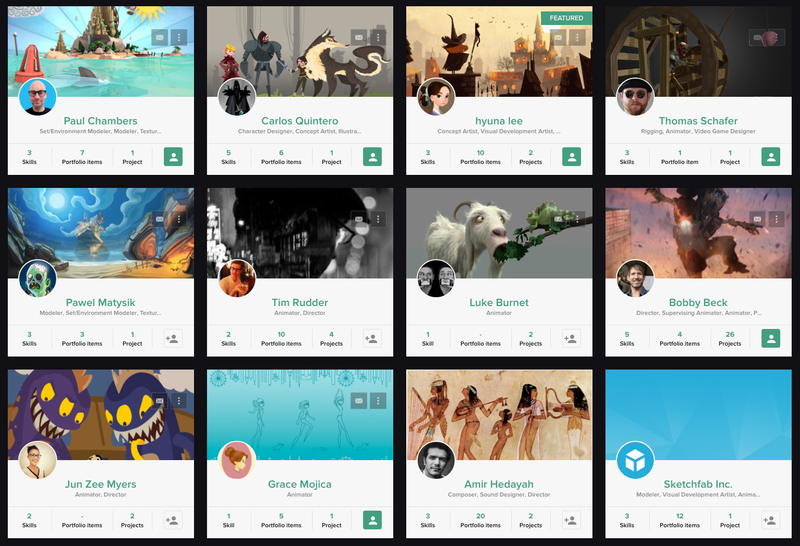 Animation Mentor and other character animation specific schools have set up a great system that reflects the day to day role of an animator in a medium to large studio. The idea of choosing an audio clip, using a prebuilt rig and showing just playblasts allows the student to focus the vast majority of their time purely on the animation. But even within the assignments you’re still getting a taste of the different departments in the pipeline. You will create your own story for the shot, probably draw up an animatic, mod the rigs to create more unique characters, build a set, establish staging, etc. 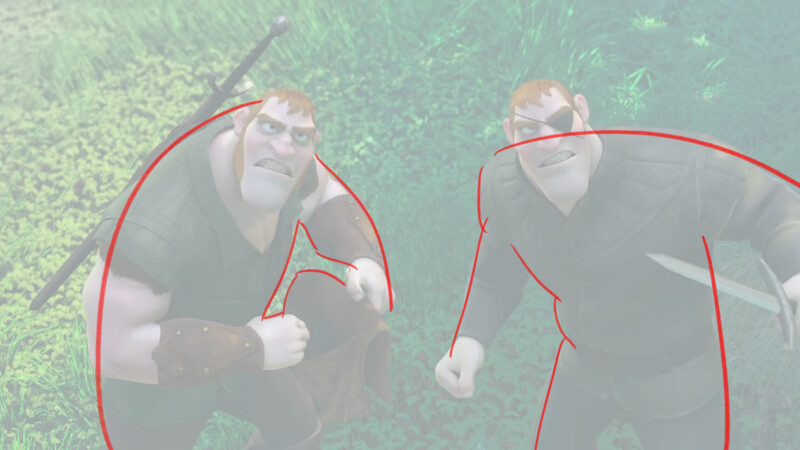 While the mentor will act as a director, there’s still quite a lot of creative room given to the animator. 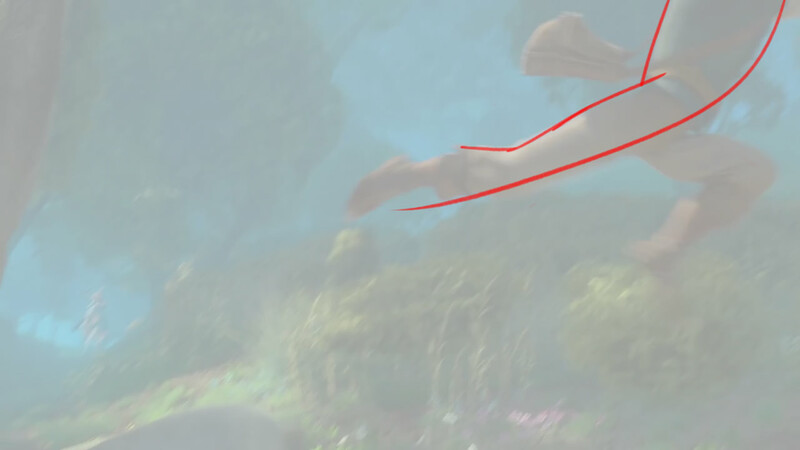 If you have a look at the above images though you can see that so much had already been established by the story artist. This to me is a good example of where school and industry differ. The room given to the animator is going to vary widely. 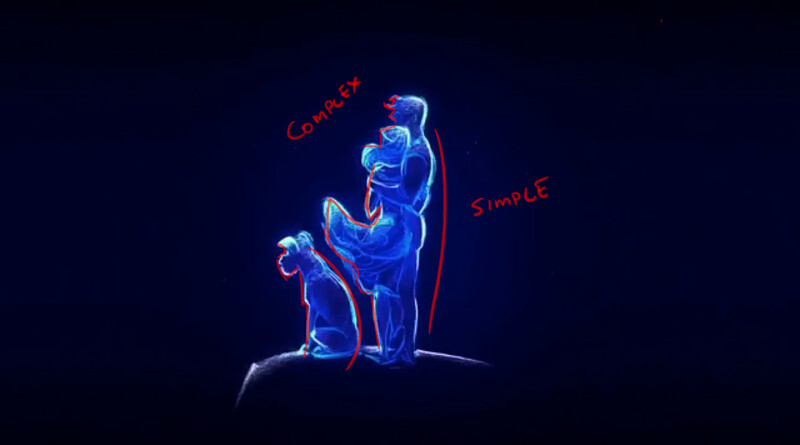 The director’s/supervisor’s directing style, detail in storyboards, the deadline, the type of production, the studio culture, etc is all going to influence how much room an animator will have to move in bringing ideas into the shot. But for any students reading, I think it would be worth finding some storyboards (or progression reels) from films you like and compare it to the final production. 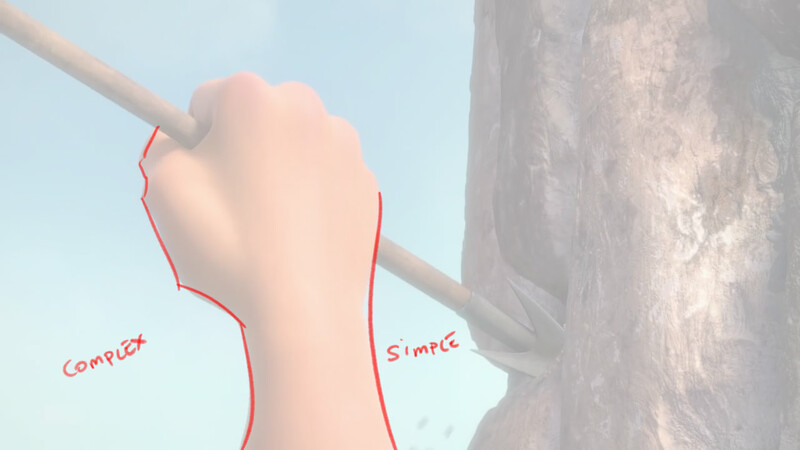 While it may not be the most eye opening exercise ever, it will give you a greater insight into the actual role of an animator and what to expect when you do make the leap into the industry. This entry was posted in Uncategorized on December 9, 2015 by Tim.